First thing first, the book and movie are way different from each other. Both are good, but definitely different. I read Kody Keplinger’s book back in June when it was first announced that a movie would be filmed (my aunt is one of the producers so I knew right away). I rented the book from the library and devoured through all 280 pages that same day. The book is great; I rated it 4 stars on goodreads. As soon as I finished it though, I knew there would be changes for the movie. In the book, Bianca’s way with dealing is to take physical comfort in Wesley. If the movie was the same as the book, it would most likely be rated R. So to keep it a PG-13 rating, a mean girl was added instead. Contrary to the previews, Bianca does not actually go through a makeover. She realizes that everyone is a DUFF and decides to own it. This stays true to the book and its main theme of acceptance, which to me is the most important part. I saw the movie twice during its opening weekend — once with my friends and once with my family (grandparents included)! I’d suggest not seeing it with them, though. There is definitely language and sexual innuendos that I was glad to be sitting at the end of aisle next to my brother instead of in-between my grandparents. Moving on though, the movie is cute and funny. I loved the cast, and I think Mae Whitman and Robbie Amell did a great job portraying Bianca and Wesley. 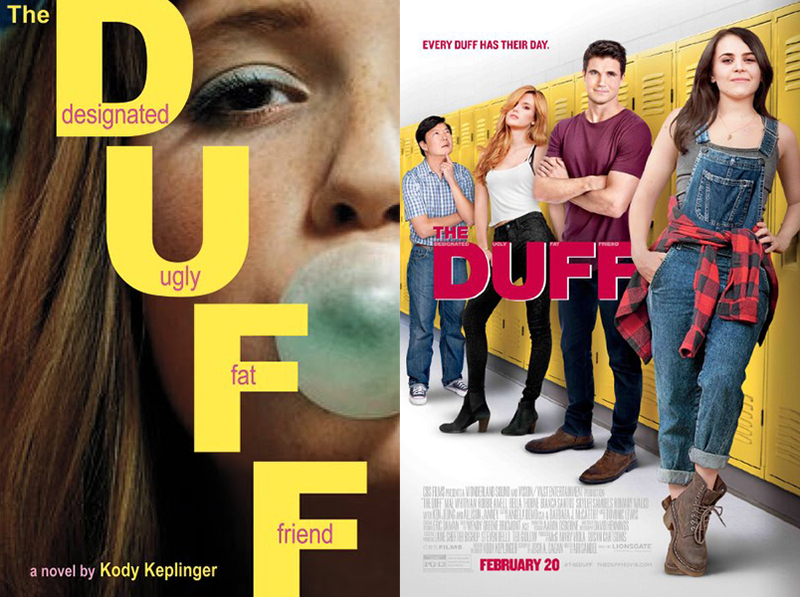 Overall, I’d definitely recommend going to see The DUFF if you’re in need of a good laugh. It’s a great teen comedy and I plan on buying it when it comes out on DVD. Also, if you do go see it or even if you don’t, I definitely suggest you read the book at some point!